August 3 @ 11:00 am - 10:00 pm	Montrose County Event Center	$8 – $75. Featuring Craig Campbell! Limited number of tickets available. Ticket prices will increase July 1st and day-of the festival, so purchase today! 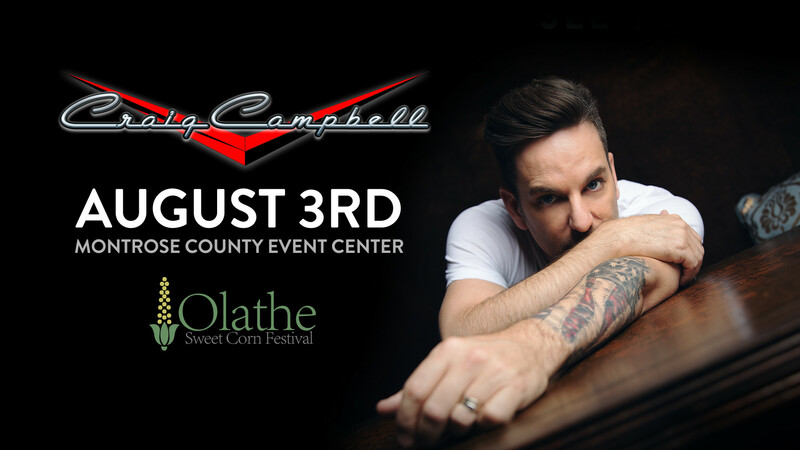 Each ticket includes all-day admission, all you can eat Olathe Sweet Sweet Corn, live music starting at noon by great local bands, concert by Craig Campbell, vendors, family activities, and more! 2098 available	 General Admission $25.00 $18.00 General Admission tickets include all-day admission and the concert in the evening! These prices will increase in July. 2099 available	 Children General Admission $10.00 $8.00 Children 2-12 general admission includes all-day admission and the concert in the evening. These prices will increase in July. 278 available	 VIP $100.00 $75.00 Includes all-day admission and preferred seating at tables (Location is first-come-first-served) at front of house. Food and booze included and served from 6:00 PM to close with roasted Olathe Sweet Sweet Corn served in the VIP Area. 158 available	 Section C $35.00 Section C bleacher seating, location first-come first served. 158 available	 Section D $35.00 Section D bleacher seating, location first-come first served. 231 available	 Section E $35.00 Section E bleacher seating, location first-come first served. 158 available	 Section F $35.00 Section F bleacher seating, location first-come first served. 158 available	 Section G $35.00 Section G bleacher seating, location first-come first served. 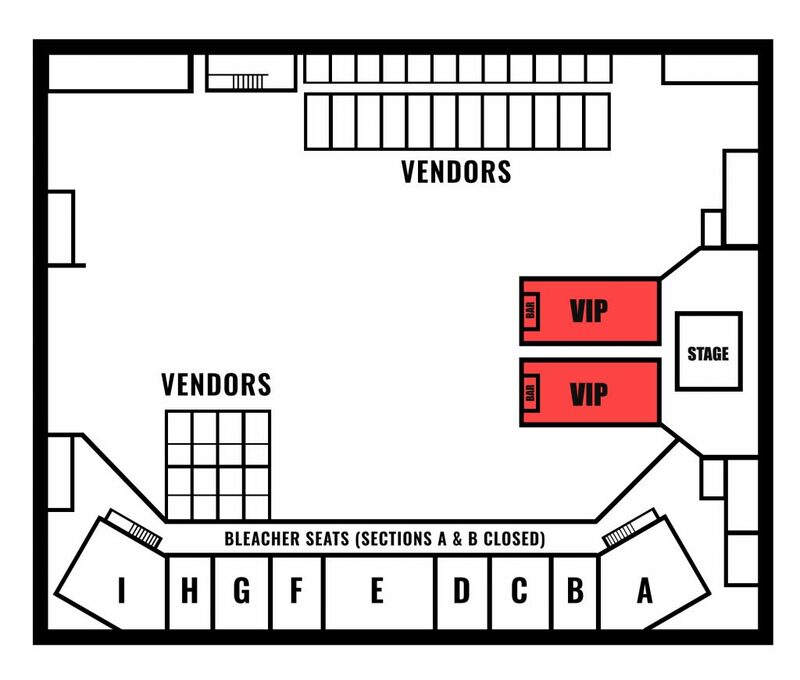 158 available	 Section H $28.00 Section H Seating, location first-come first served. 281 available	 Section I $28.00 Section I bleacher seating, location first-come first served.